Green Leaf provides services for home owners and property managers all over the city of Tulsa. Don’t let the holidays stress you out this season! Have Green Leaf come, install and test your Tulsa holiday lights! We want you to enjoy the holidays and not get over stressed this year. Allow the lighting installers here at Green Leaf to handle everything for you from start to finish. Visit us online or call us today at 918-640-6405. We can hang those lights for you! How can we help? We save you time! During the holidays every one has a long list of things to get done. Everything from picking out the tree to purchasing that last handful of gifts. The last thing any one wants to do is crawl through their attic trying to find that box of lights that they’re not sure even work. When you decide to partner with Green Leaf we guarantee that we help you from start to finish hanging up your lights and turning your home in to something that will impress your neighbors. Our goal is to eliminate as much holiday stress for you as we can this year. 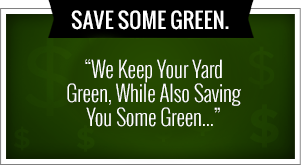 Green Leaf is known throughout Tulsa for our quality lawn care service, landscaping and mowing. In fact our customer service is known by many home owners and big-time businesses including Mathis Brothers and Outback Steakhouse. When the holidays come around our customer service remains the same. We are committed, dedicated and looking for ways to over exceed expectations for all of our clients. Our number one goal is to help homeowners, business owners and property managers create a wonderful holiday atmosphere this Christmas. And if you’re throwing a Christmas party this year we have great news. Our number one goal is to provide you with the best lighting technicians and quality experience professionals who have an eye for creating the best holiday party yet. We will connect you with the experienced party and lighting professionals so that your event can be a smashing success. We will arrive on site to take measurements and provide a free home estimate. Call now to save time! If you have any questions about our light installers and putting up your Tulsa holiday lights, please call us today! We are ready to take the load off by putting up the lights and turning your home in to the ideal holdiay Winter Wonderland. You won’t be disappointed in the service and how fast we can get those lights up. Trust Green Leaf. Our name might be Green but we love the holidays just as much as you! If you’re looking to impress your neighbors this holiday season or turn your home into a Winter Wonderland, Green Leaf is here for you. 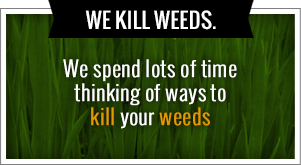 It’s true that during the warm seasons we provide quality lawn care service and landscaping. But once the holidays roll around we are excited to overdeliver and partner with you to make sure that your lights get on your house and they look fantastic. Don’t risk your life by dangling from the roof trying to keep the lights straight. Trust the leading professionals to hang up your Tulsa holiday lights this year. Calls today at 918-640-640. Over the years we have been providing services for homeowners, business owners and property managers. Our goal is to provide you with the ideal holiday vision that you have for your home and not having you do any of the work. We are ready to help out during the holidays and get your property looking fantastic. We understand the holidays are busy and can even be stressful. Allow Green Leaf to take off some of that stress by providing you the lighting technicians and service professionals here in Tulsa. As the holidays get closer, your to do list gets longer and longer. People are running around trying to purchase those gifts, find the perfect tree and find a place for their mother-in-law to stay who’s coming down for the holidays. You have so many other things to do why not let Green Leaf hang up lights for you? No one wants to go through their basement or their attic trying to find that box of Christmas lights. Then comes the six hours of trying to untangle those Christmas lights and finding out that only one side works. When you go with Green Leaf we save you so much time, energy and stress. We have all the equipment and we are connected with the professional lighting experts who can turn your home into the ideal holiday getaway right there in your neighborhood. If you’re throwing a holiday party we can also connect you with the experienced party and lighting professionals that you been searching for. We go on-site, measure and give you a free home estimate on what it’s going to cost. The best part about hiring Green Leaf is that you don’t have to lift a finger or get out the ladder. We take care of everything from start to finish. We come, install and test the lights and make sure they’re working. We are out of there before you know it and we allow you to get the other things you need to get done this holiday season. Our name might have the word green in it but we love the holidays just as much as you do.